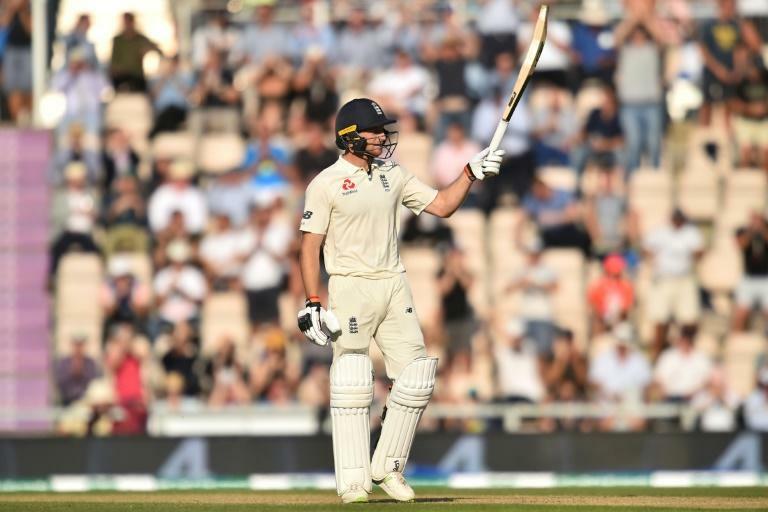 Jos Buttler's well-judged 69 helped leave India facing a record run-chase if they are to win the fourth Test against England at Southampton and so level the series. England were 260 for eight in their second innings, a lead of 233 runs, at stumps on Saturday's third day. The paceman led India's attack with three wickets for 53 runs from 13.5 overs. They were needed after England slumped to 92 for four -- the 33rd time in 64 Test innings they had been four wickets down for 100 or fewer runs. "We've plenty to work with," Buttler told Sky Sports. "Anything above (a lead of) 250 would be a good number. It can be challenging out there." He added: "I think all of our bowlers will be a threat tomorrow (Sunday).We feel like we've got lots of bases covered." "Looking at the pitch it has slowed down a bit," Pujara said after Saturday's close. "It looks like it is slightly easier to bat. And we have got lot of experience playing in such conditions back home." They were then 21 runs behind, after Pujara's 132 not out had guided India to a first-innings total of 273. Alastair Cook, England's all-time leading Test run-scorer, and fellow left-handed opener Keaton Jennings both needed runs. Root was settling in when, called for a needless single by Ben Stokes, he failed to beat Shami's direct hit from mid-on. Stokes, as he'd done at Nottingham, showed plenty of grit in a 30 off 110 balls that ended when he edged off-spinner Ravichandran Ashwin to Ajinkya Rahane at slip.